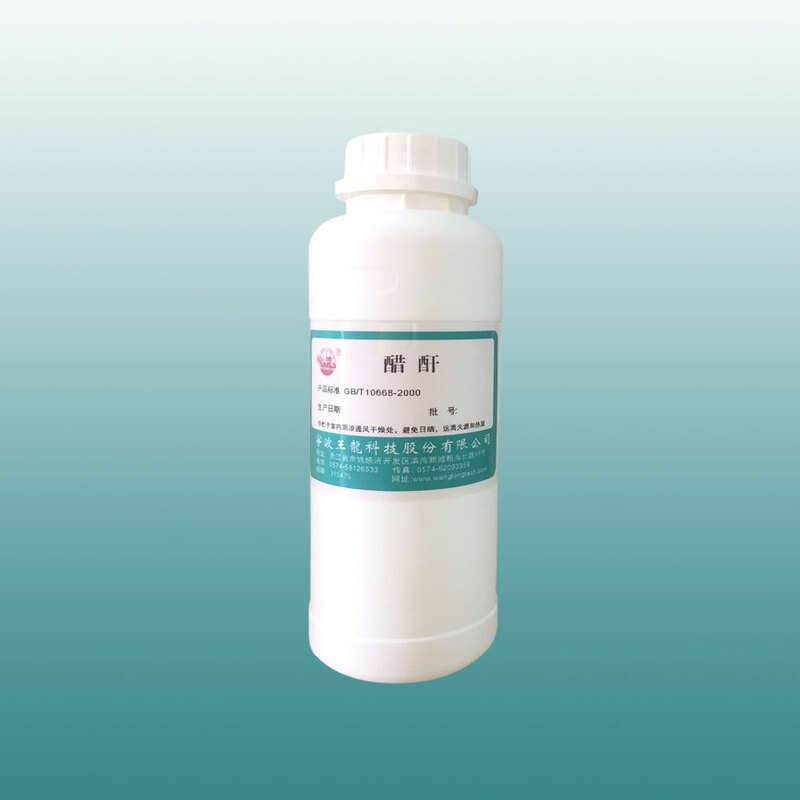 Characters：Colorless and transparent liquid with stimulating smell, its vapor is the tear gas;vapor pressure: 1.33kPa/36°C;flash point: 49°C;melting point: -73.1°C;boilint point: 138.6°C. Soluble in benzene, ethanol ,ethyl ehter, Relative density(water=1):1.08g/ml, relative density(Air=1):3.52g/ml. Stability. Uses：Used as acetylation reagnets, as well as for medicines, dyes, cellulose acetate manufacturing, production riggered agent, bleaching agent. Packing: Standard tank car, or stainless tanker vessel and plastic drum. Storage:Stored in a cool, ventilated, dry place, avoided the sun, away from the fire source and heat source. Should not be stored together with the organic acids and bases. Characters：Colorless with stimulating odor flammabble liquid. Relative density:1.0897g/ml(20/20°C),melting point: -6.5°C, boiling point:127.4°C, refraction nD(20°C): 1.4379, Specific heat capacity:0.1990KJ/(kg °C), flash point:33.9°C. Soluble in water and common organic solvents. Chemical propery is lively. Uses：Used as organic materials and the raw materials of plasticizer, dye, synthetic fiber, pesticide,rubber parts. Storage:This product is flammable, so it should be stored in the aluminum or glass-lined vessel and at low temperature:0-5°C. It should not contact with fire, inorganic acid and water, avoid bumping in order to prevent from exploding during transported. Storage and transportation must follow as the rule of ignition control compund.